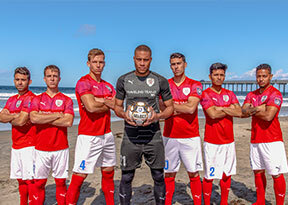 March 23rd, 2019 — ASC San Diego seems to have found their feet in this 2019 NPSL season after claiming their second victory and clean sheet in a row this week. 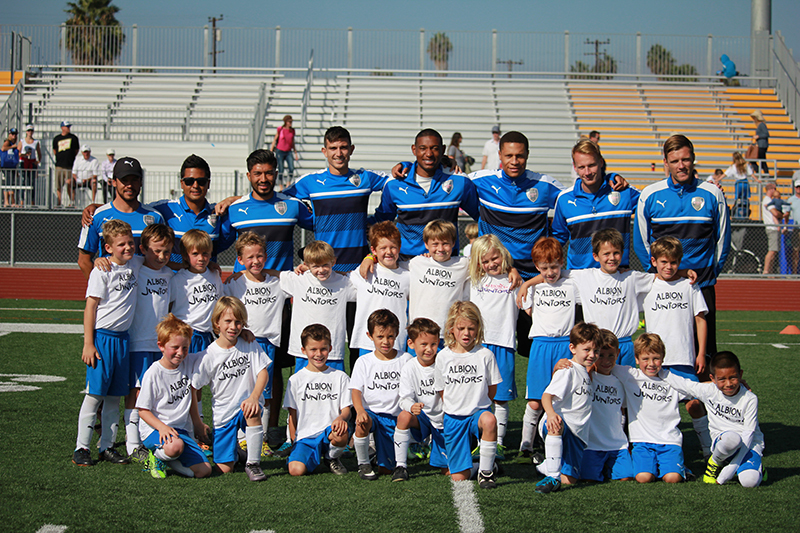 Goals from Ewout Gouw and Anthony Virgara seal the 2-0 win against their hosts City of Angels FC in West Hills, CA. ASC San Diego were desperate to shake off their disappointing away form on Saturday with a (0-1-2) record on the road this season. 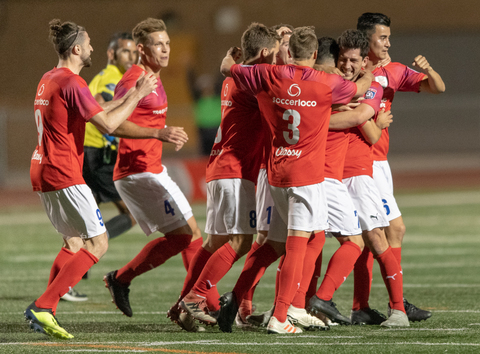 Knowing that they cannot secure their place in the playoffs on only results at home, ASC San Diego dominated the entire match from the start of kick off. ASC supporters who made the journey to West Hills, were delighted by their side’s confidence on the ball as they moved it up the pitch with a tempo and rhythm reminiscent of Barcelona. It didn’t take long for ASC to capitalize as midfielder Ewout Gouw did well to slap home a close range finish after fending off a City of Angels defender in the 13th minute. ASC San Diego were unable to increase their lead in the first half despite having several good chances to do so. Ziggy and his men were left slightly frustrated entering into the locker room at the end of the first half after seeing a very close offsides call disallow a goal from a well worked ASC counterattack. These frustrations seemed to be fuel for the fire for ASC, as Ziggy’s men took no time to double the lead after Anthony Virgara slotted home his first goal of the season in the 46th minute. The former midfielder was delighted to open up his account in 2019 after spending much of the first half working hard off the ball opening up space for his teammates. 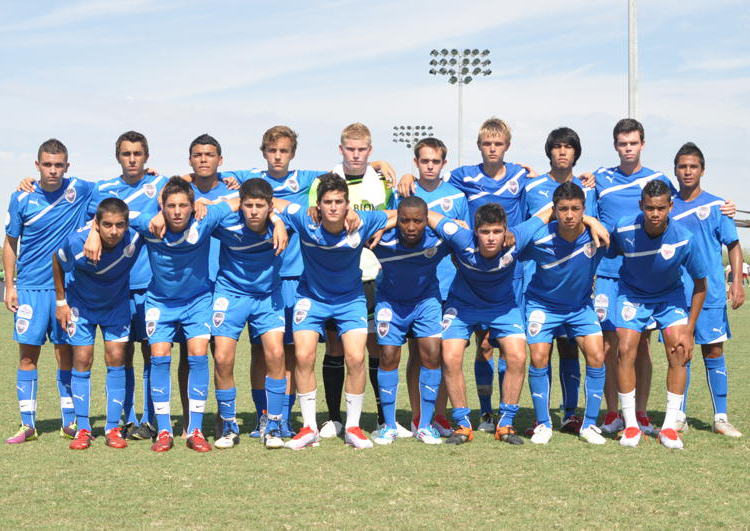 ASC San Diego continued to overwhelm their opponents for the rest of the match. Despite a few descent saves from veteran goalkeeper Jean Antoine, Antoine had little to do in the last 20 minutes to earn his third clean sheet of the season. ASC fans were delighted to see the debut of ASC newcomer Eijin Ishimoto. The right wing back did not look out of place after entering into the game at the start of the second half. The former Swindon Town trialist impressed the boss, “Kishi played well, he still has a long way to go but he will be fine”. 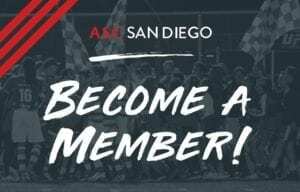 ASC San Diego will be back home on Saturday, March 30th, where they will face off against Orange County FC @ 6PM.